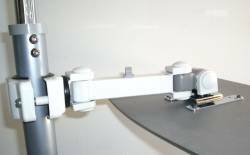 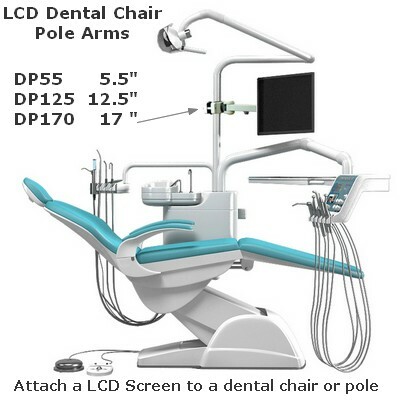 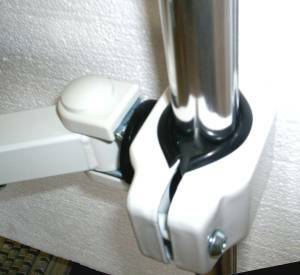 Easily attach a monitor to a dental chair or any 1" - 3" diameter pole! 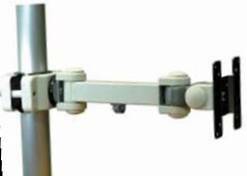 - Distance: rear of monitor to pole edge 12.5"
- For monitors up to 23 lbs. 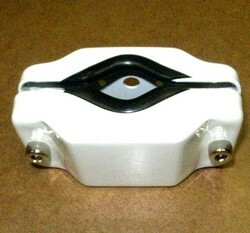 - LCD screen in landscape or portrait mode. 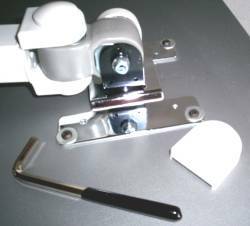 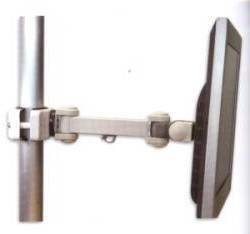 - All metal construction; Square tube: 1.25 x 1.25"
The monitor can be aimed at the floor.